Hair loss or baldness is also known as alopecia in medical term. It is a condition of hair loss from the head, body and scalp. Hair loss or baldness is a common phenomenon for people, especially for men. There is not permanent solution for it, so in this condition many people have helpless to facing these conditions, especially for men. 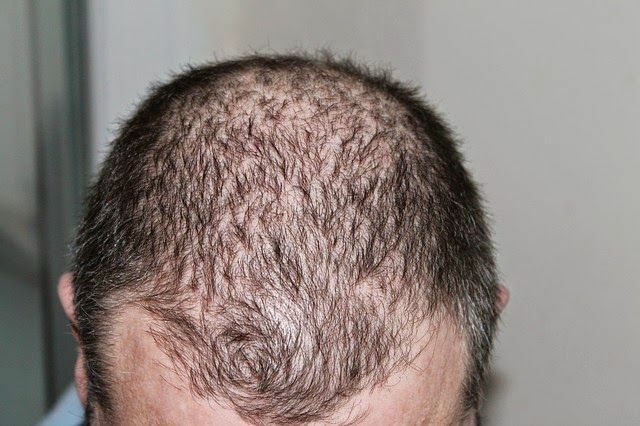 Many people are facing this intolerable or painful condition of hair loss in their 30s because at this time body have lost their hormonal stimulation and less nutrition’s and diet also playing a role for it. This is step by step increasing disorder, it has many causes such as fungal infection, genetically or hereditary, lack of vitamins, insufficient or lack of nutrition diet, and it may be a negative result of radiotherapy and chemotherapy. Today we are discussing about how to re-growth or restoration of hair. However it is quite difficult to recover totally hairs of your head and body, but I’m confirm to tell that Ayurvedic herbs and remedies performing best to cure it. Alopecia and baldness may also caused by alopecia areata, autoimmune disorder, androgenic alopecia, alopecia androgenetica or alopecia seborrheica (In medical terms). Hair loss in patches, especially in circular patterns. Now, we discuss about the causes for baldness, some common causes are discussing above but the hormonal change of body also affect our hair growth. Lack of vitamins and nutrition diet. It may be a bad result of radiotherapy and chemotherapy. Excessive use of chemical products. Excessive use of Drugs or medications. Lazy lifestyle and careless nature. Diabetes and insulin level also a cause for hair loss. Excessive intake of junk food. Here are some home remedies for baldness and re-growth hair naturally. Eggs are the best remedy to cure hair loss quickly, they are the rich source of sulfur, protein and minerals (selenium, iodine, phosphorus, iron and zinc). It is a perfect remedy for re-growth of hair. Take the white (clear liquid) of one egg and therein add a teaspoon of olive oil. Mix well and prepare a paste. Apply this paste to the entire scalp and hair root and leave it for 20 to 30 minutes. Thereafter wash it. It is an effective and perfect remedy to get rid of baldness and hair loss. It is also a better herbal combination to restoration of hair loss. Here the method for prepare the remedy. Take half cup of milk in a bowl and therein mix 2 teaspoons of liquorice powder, then add a pinch of saffron into it. Thereafter mix them properly and leave it for 10 minutes. Apply this paste to the bald patches on the scalp at night and leave it overnight. Wash it on next morning; this is powerful remedy to re-growth and restoration of hair. Neem has a useful herbal tree from ancient times; it have antifungal, antidiabetic, antibacterial, antiviral, contraceptive and sedative properties. Take 100 grams of neem leaves and put them into 1 liter of pure water, then boil this water for 15 minutes. Now, leave it to become cool and filter it. Then wash your head or scalp with this water and massaging your scalp with neem oil. You will quickly cure from baldness and alopecia from this treatment. Sal ammoniac or Ammonium chloride is also known as Nousadar. This is an effective remedy to cure from alopecia or baldness. Take 6 grams of Ammonium chloride and put them into 50 grams of butter and mix it properly to make a paste. Wash your bald patches with Amla water and then apply this paste on bald patches. You will definitely re-grow new hair within one month by this remedy. Amla (Indian gooseberry) is a rich source of vitamin c and the beet is rich source of iron and vitamins. Take a dried amla and grind it with beet juice, apply this paste on bald patches. This is an effective remedy to cure baldness and re-grow hairs. Hibiscus is a useful herbal tree to prevent from baldness, premature graying and cure dandruff. Take some fresh flowers of hibiscus and crush them, thereafter mix them with coconut oil to make a paste. Apply this paste to the scalp and hair or bald patches. Take some fresh flowers of hibiscus and grind them with cow’s urine to make a fine paste, and then apply this paste to the bald patches or scalp. Amla is a rich source of vitamin c and it also has an antioxidant property. Take juice of an amla and massaging on your bald patches, also mix this juice into water and wash your scalp and hair to get rid of baldness. Also use pure amla oil to quickly growth of hair. 9. Lemon with Amla is also an effective combination to treat baldness and hair loss. 10. Take more Vitamins and protein diet to prevent and re-growth of hair. 11. Amla with coconut oil is also a better choice for regrowth of hair. With these remedies, you need to have some of precaution and care about your hair and health. 1. Take care of your hair; keep clean and away from infections. 2. Do not use chemical containing and cosmetic products. 3. Do not use hair brush of another person. 4. Regular use of any of the above treatment to permanently cure from baldness. 5. Take proper rest and sleep to away from stress and anxiety. 6. You can do some exercises and meditation. 7. Eat more green leafy vegetables, salad and fruits. 8. Stop use of alcohol, smoking and non-veg. 9. Take more protein supplements and milk. 10. Avoid artificial hair coloring products. 11. Keep calm and cool, away from stress. 12. Daily morning walk is very effective. These treatments are observed and very effective to cure from hair loss and baldness; with these remedies you also will re-growth and restoration of hair. Sir i buy amla juice from a nearst auervedic shop.and drinks it every morning.so this amla juice apply on hair?